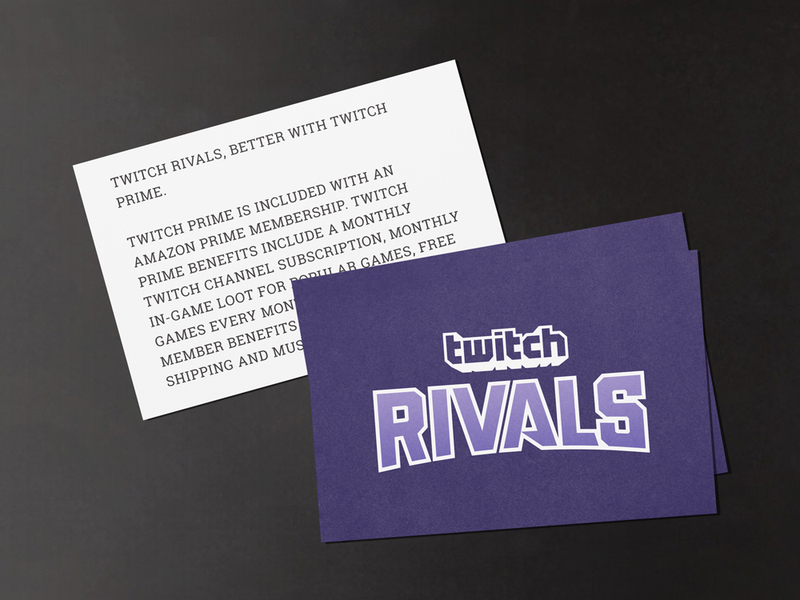 Twitch is the world’s leading live streaming platform for gamers and things gamers love. 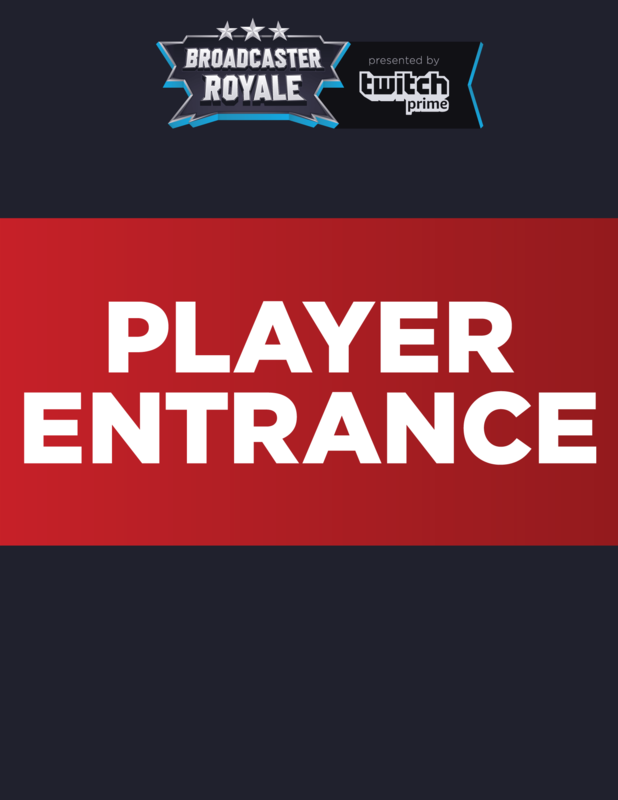 Viewers can watch and chat with millions of other fans from around the world. 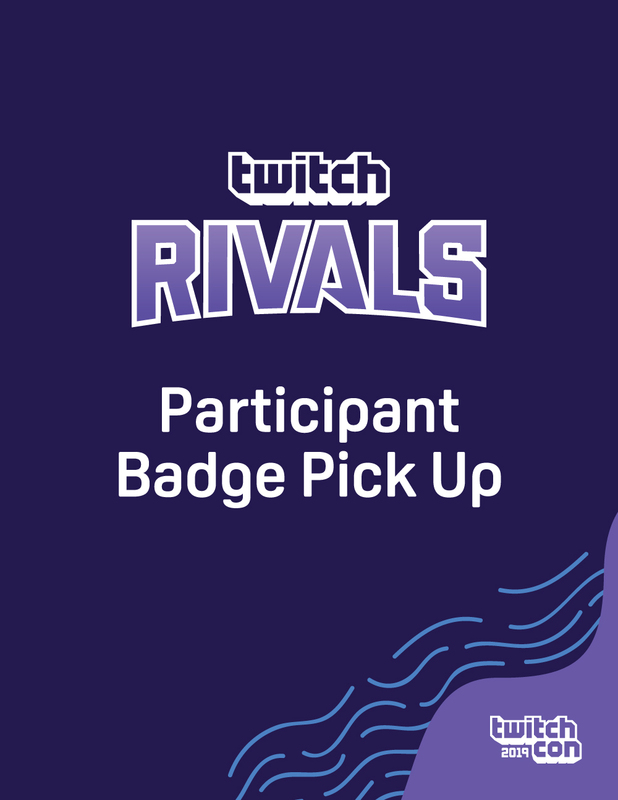 It’s a platform built on interaction, and Twitch regularly takes that interaction a step further with some fantastic live events. 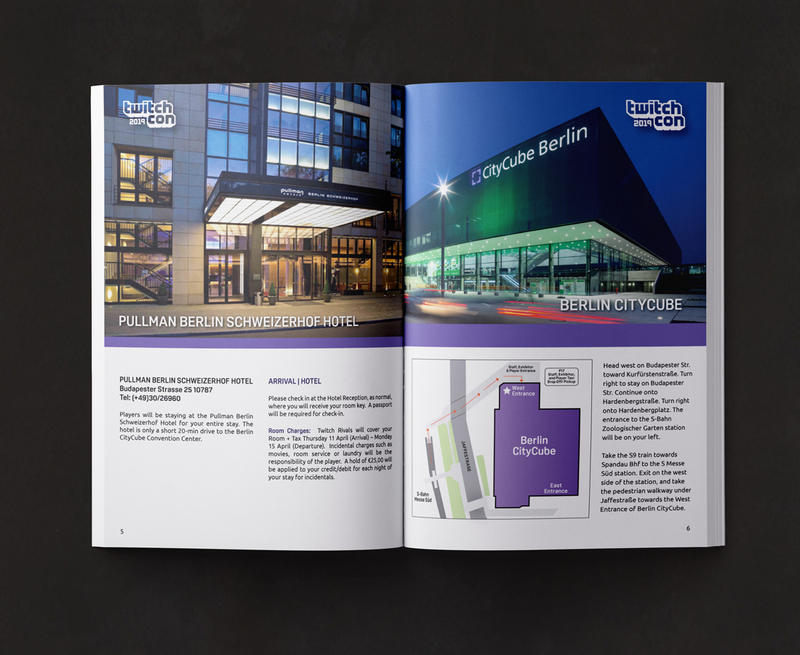 In 2019 TwitchCon is going global with TwitchCon Europe in Berlin, the first Twitch live even happening outside of the US. 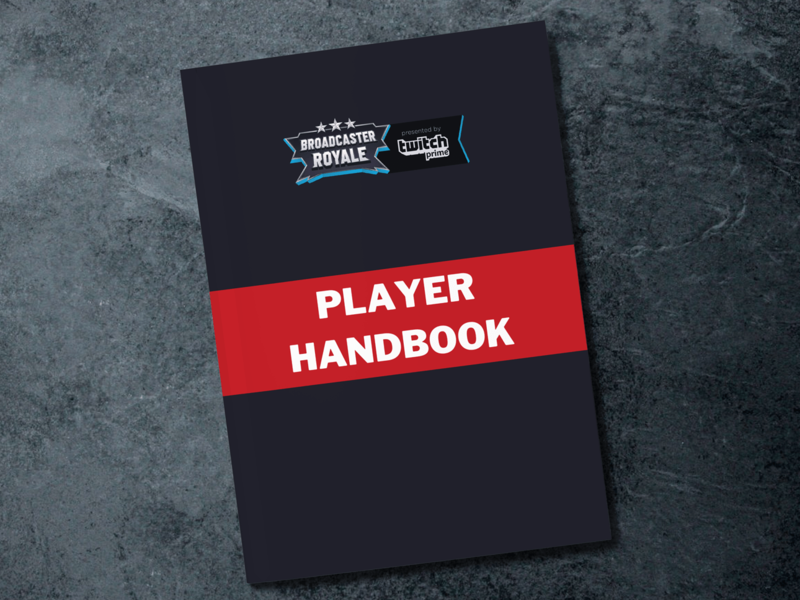 Once again, Jetspace Studio produced the signage, print messaging, and other print need for the event, including signage, informational handouts, and a pretty sweet Player Handbook. 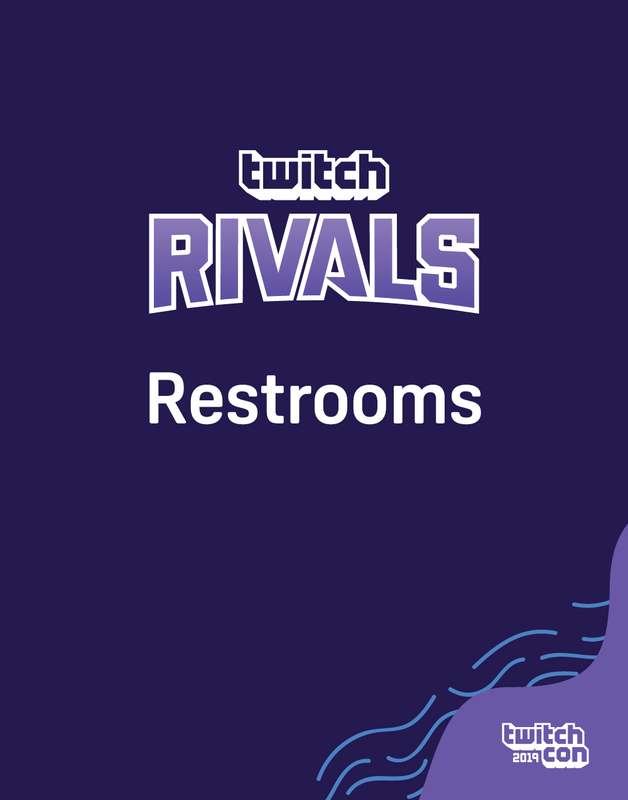 For the third time in a row, if you see a sign at a Twitch event, it’s ours. 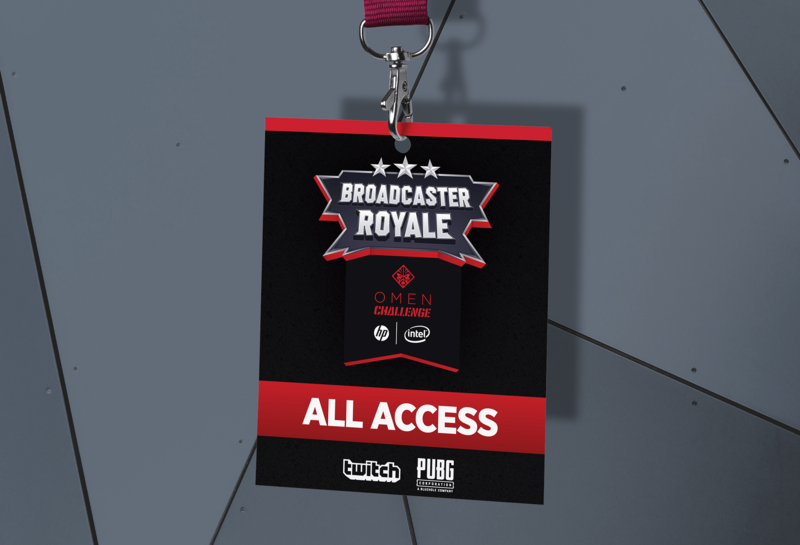 At the 2018 TwitchCon, Twitch continued their Broadcaster Royale series with the Omen Challenge by HP. 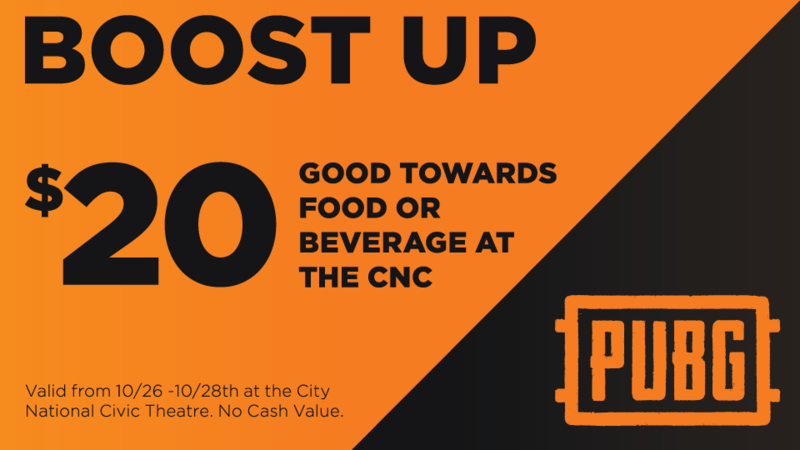 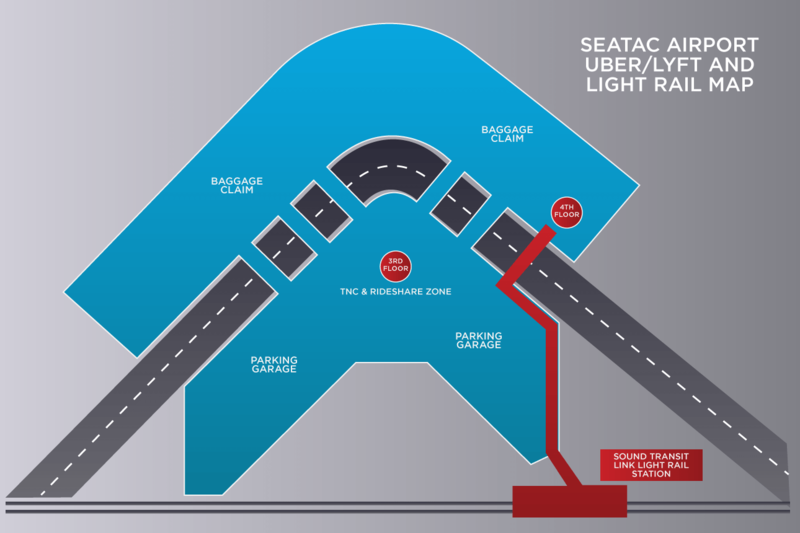 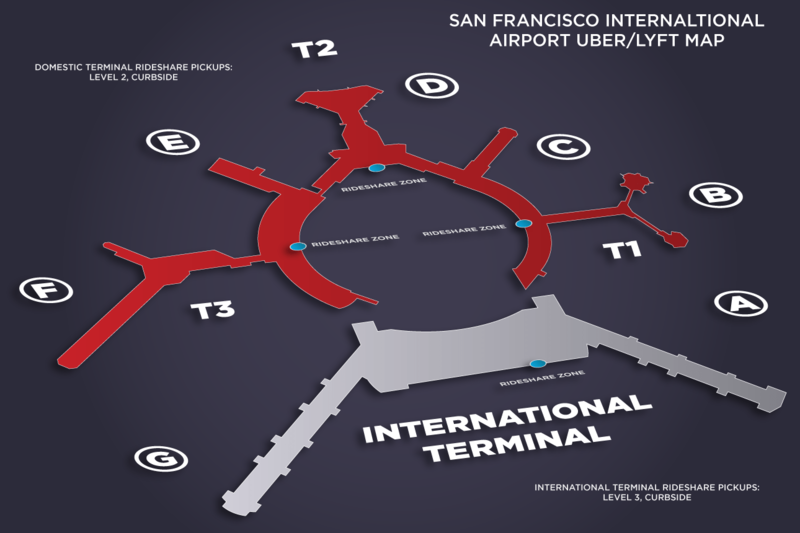 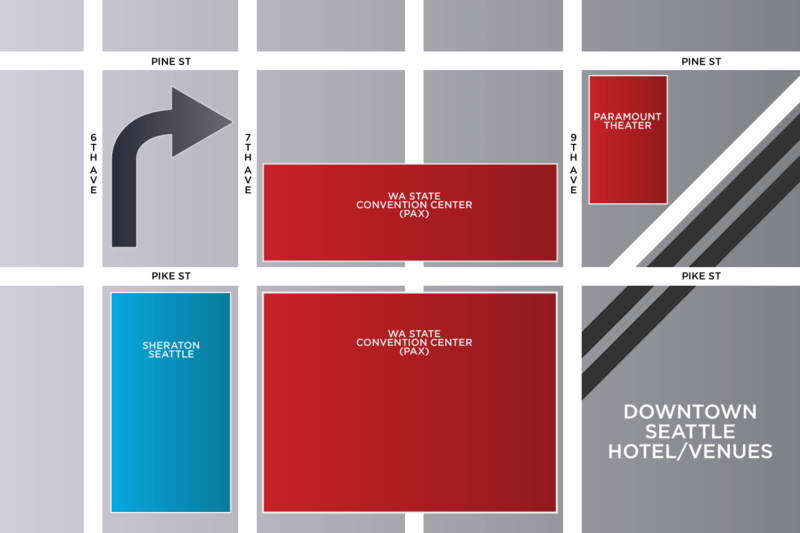 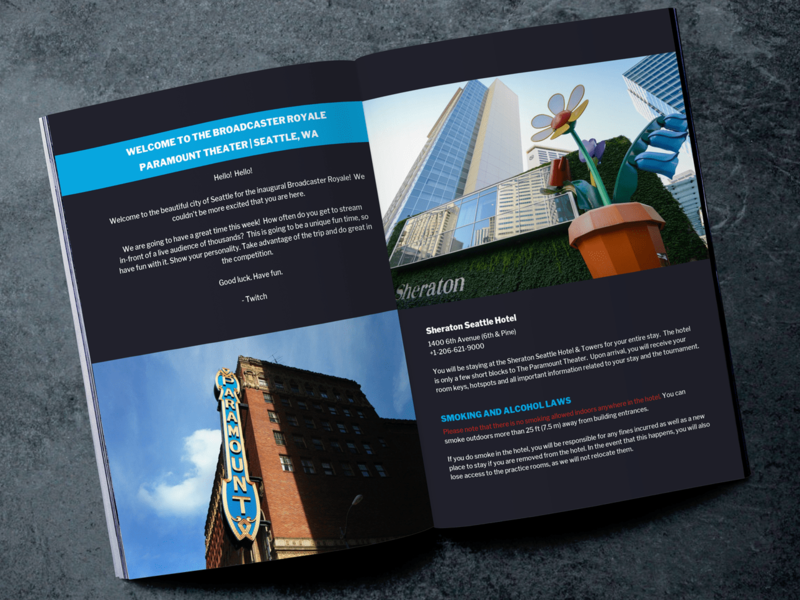 Jetspace Studio was tasked with handling the signage, print messaging, and other print communications needs for the event. 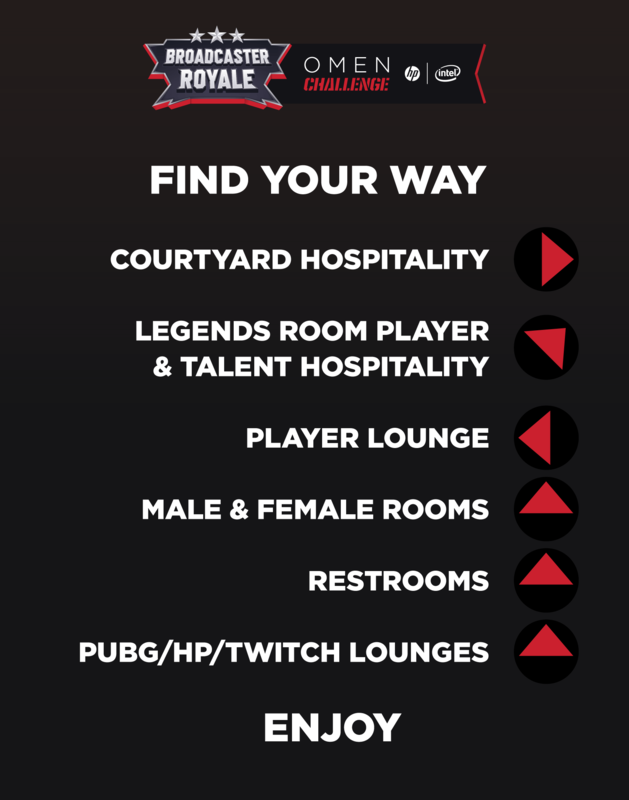 We produced dozens of unique signs according to a bespoke signage plan, badges for attendees and participants, an information handbook for event participants, and more. 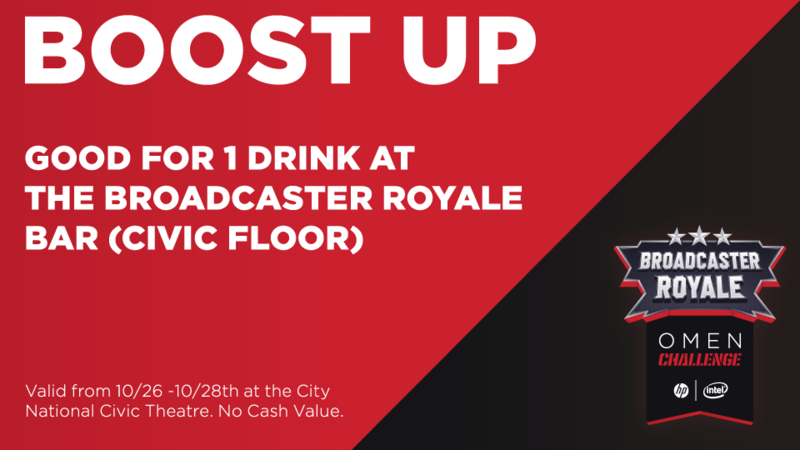 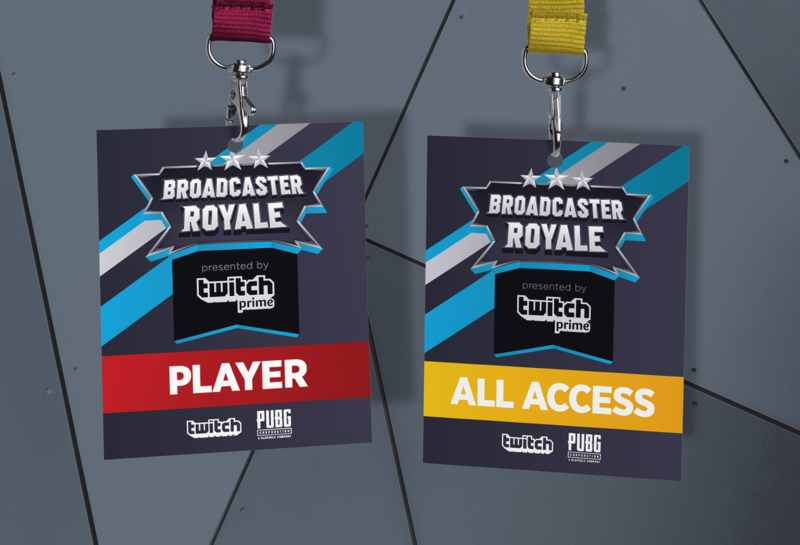 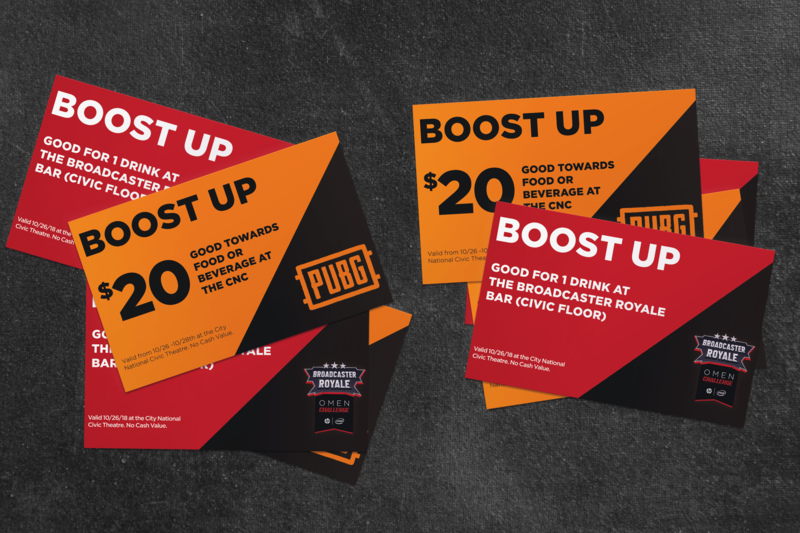 For their presence at the 2018 PAX West convention, Twitch joined forces with PUBG Corp to present the Broadcaster Royale, a weekend long streaming event that pitted some of their top streamers against one another in a PlayerUnknown’s Battlegrounds tournament. 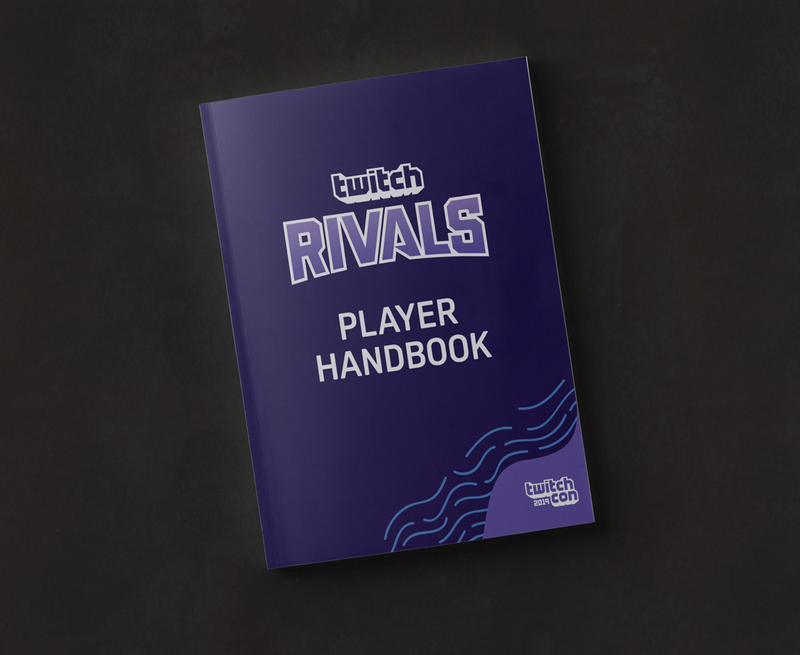 We partnered with the Twitch design team to create many aspects of the event’s physical presence, including all the event signage and attendee badges to a Player Handbook, presented both in electronic and printed, bound formats.